I reduced the sugar in the topping mixture to 1/2 a cup, sprinkled some flaked almonds on top and increased baking time by approx. 10 minutes. p. 54. 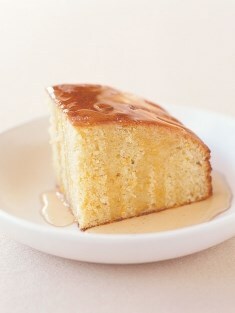 Nice little cakes, but I think these are lighter than the classic French madeleine. Best not to overfill the tins, and this recipe made batter for more than 24. Stuck to the tins too, so grease well! I made them with 1 tablespoon of orange zest added and they were a lovely flavour. The mix made 9 cupcake-sized cakes for me. 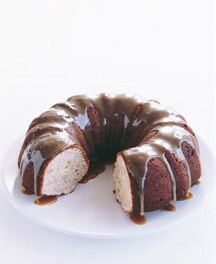 That still left-overs (there were only 3 of us), so I froze both the cakes and syrup. Nice mix of flavours, a little bit on the dry side. This is a good basic recipe, I made it with blood oranges. It didn't thicken up as much as I thought it would but the taste was great. I added a bit of lime juice as well because I like a sour curd. Good flavour. Made twice - tends to be quite liquidy in the bottom third or more. More so than I would expect. A great variation on the old-fashioned favourite. Very moreish & very simple. Makes 8-9 muffin sized cases. A bit fiddly getting the mixture to stay on the sides. Delicious filled with lemon curd and Greek yoghurt with vanilla. These didn't work for me. I'm not sure if I made them too thick or didnt cook them long enough but they turned out chewy not crispy. Her entry for the Hay Hay! It's Donna Day competition. 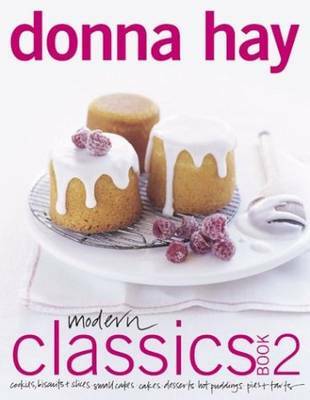 Renowned for making food that looks gorgeous and tastes great yet minimal effort, Donna Hay's sweet follow-up to the savory Modern Classics Book 1, focuses on simple, ready-to-make dessert recipes that any home cook can create for casual and elegant entertaining. Packaged and formatted like her previous cookbooks, Modern Classics Book 2 brings together favorite desserts of the past with new and updated sweet sensations of today. Filled with beautiful full-color photography, this is the definitive dessert cookbook for today's home cooks.